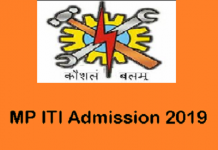 UP ITI Online Form 2019: Rajya Vyaavasaayik Prashikshan Parishad, Uttar Pradesh conducts the UP ITI Admission 2019 to give admission to the aspirants in various technical courses. The aspirants who aspire to get admission in the same can register themselves online tentatively from the month of April 2019 from the official website of the authority. The Application Form to apply for Uttar Pradesh ITI will release tentatively in the last week of April 2019. Before filling the application form, the contenders need to check the eligibility criteria. The candidate must pay the Application Fee for the final form submission. The candidates are advised to read the official advertisement from the official website before filling the form. 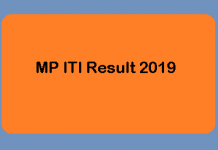 To get all the important information about UP ITI Admission 2019 like Eligibility Criteria and Application Fee, the candidates can refer to the following article. 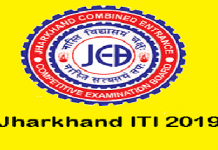 The candidate needs to be aware of the important dates of the UP ITI. The university has not released the dates yet. As soon as the university will release the same, they will be mentioned here. The table below mentions the tentative dates of the important events of UP ITI 2019. Should be of minimum 14 years as on the year of admission. No relaxation will be provided in the minimum age limit. No upper age limit criteria are there. Candidates should have passed their high school education form a recognized board. The online forms of UP ITI will be released tentatively in the month of May 2019 on the official website of the university. The candidates, who aspire to pursue their degree in different fields of Engineering in from UP need to fill the application form. The candidates need to make sure that the information they are providing in the application form is absolutely correct. Filling any incorrect information will lead to the cancellation of the candidature. It is to be noted that the procedure of filling the application form will only be considered complete only when the fee is paid before the deadline. If the candidate fails to pay the fee before the deadline, then the candidature of the aspirant will be cancelled. The fee will be paid online only and No candidate will be able to avail the facility of offline fee payment. Go to the official website of the admission conducting body. Click on the given link of application form saying, “Online Submission of Application for Session 2019-20”. A new page will open displaying all the names of courses, colleges etc. Now click on the given link. Fill all the required details in the application form. The candidate should make sure that all the information that they are providing in the application form is absolutely correct. Filling of any wrong information may lead to the cancellation of the candidature of the candidate. Now the candidates need to upload the required documents, for ex-scanned photograph and signature. The documents should be of as per the specifications decided by the university. Now the candidates need to pay the fee by clicking on the button, ‘proceed to payment’. After paying the fee, the candidates need to click on the submit button. The candidates must take the Printout of the Application Form. Candidates can avail both job and academic oriented prospect in order to continue after completing skill development programme. For a better opportunity, the aspirant can get admission into Diploma in Engineering. One can explore a number of jobs in the public and private sector for both engineering and non-engineering trades. One can become an entrepreneur by opening winding shops, motor garage or repairing workshops. If the aspirant is highly skilled, then he/she can have ample job opportunities in foreign as well.